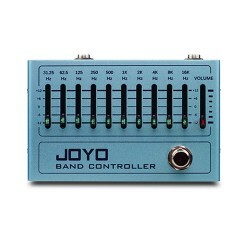 The JOYO JF-314 Husky Drive Overdrive Mini Guitar Effects Pedal is just gives you nice FAT sound. Many of us mere mortals will never get to appreciate the wide throbbing sound of a power amp distortion and that is where the Husky drive will shine. Giving you the sound of power amp distortion without any flabbiness right at your feet. The husky drive will give you the fatness and overdrive of a power amp at full blast. 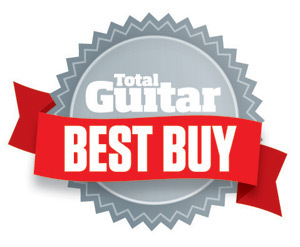 Voted a Best Buy with 5 stars by Total Guitar Magazine.. .
All of the same beautiful overtones you can get from a tube amp pushed to the edge, are now easily dialled in at your fingertips with this little pedal. 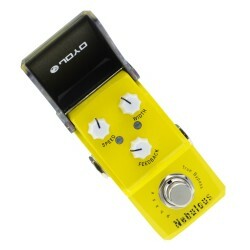 The HIGH and LOW switch makes it a truly flexible stomp box. 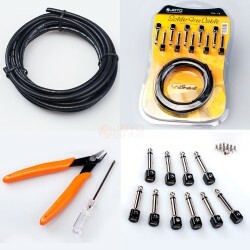 Use it direct into a mixing console, audio interface or in front of an amp. Power: DC 9V negative polarity adapter, not supplied. Nice one chaps, we got the best buy for the buck on this dog of a pedal, the JOYO Husky Drive !.. 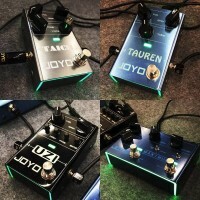 The JOYO Time Magic mini delay pedal is an analog sounding digital delay with all the great characte.. 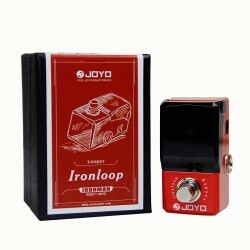 The Rushing Train amp simulator brings classic Liverpool sounds to life in a very small package. Cle.. The Clean Glass Amp Simulator lets you re-create many of the crystal clear tones that the classic vi.. 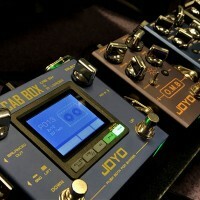 The JOYO JF-308 Golden Face guitar effect Amp Simulator pedal walks in the big footsteps of the famo.. 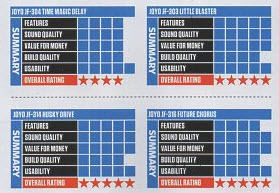 The JOYO JF 309 Boogie Master Amp Simulator brings you modern rock and metal sounds reminiscent of l..
JOYO JF-310 Orange Juice Amp Simulator, NEW mini Guitar effects pedals from JOYO, available for UK d..
JOYO JF-313 Old School Distortion, the name says it all. From the latest JOYO pedalsDrawing its clas.. 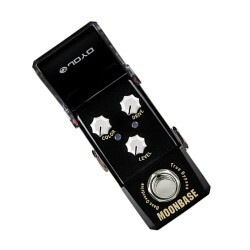 The new JOYO JF-331 Moonbase Bass Guitar Effect Pedal gives a low frequency overdrive suitable for J..